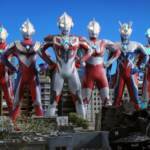 Have you been following Mahou Sentai Magiranger as a part of the latest Let’s Watch Wednesdays here at TokuNation? You should, but if you haven’t the show and our viewing of it will end one week from tomorrow! So get in on the discussion while you still can. However it’s also time we picked the series for our next Let’s Watch segment! And this time we want to mix things up. There won’t be any nominations this time around. After digging through the records of previous LWW nominations threads we’ve come up with an all-star list of the toku shows that YOU the community demanded, but that simply never won the polls. These choices are the 10 most frequently requested series that have yet to have a go on Let’s Watch Wednesdays. But now is your chance to make them happen! 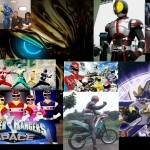 Make your decision by clicking “Discuss on the TokuNation Forums” at the bottom of this post to be taken to our poll! This poll will remain open for 1 week, until Wednesday May 21st at 11:59 PM. Good luck! 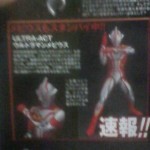 Continuing along with the string of Renewal releases, Ultra-Act is gearing up to redo Ultraman Mebius. The image comes courtesy of Taghobby though the scan is in very low quality so unfortunately there’s not much to tell from the scan.